If you’re sexually active, regular STD testing is a good idea. A person can have a sexually transmitted disease without knowing it, and sometimes no signs or symptoms occur. 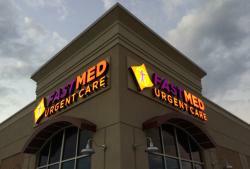 If you live in Hickory, NC and think you need STD testing, visit our new FastMed location at Conover Boulevard West and Startown Road. Our walk-in clinics have state-of-the-art equipment and on-site labs so we can get you diagnosed and provide or recommend treatment within an hour. STD testing at FastMed in Hickory, NC, can help you determine if you have a sexually transmitted infection such as HIV, syphilis, hepatitis, or HPV. There is no good screening test for genital herpes, but your provider may take a tissue culture or order a blood test to help determine if you have the disease. The types of STD testing you need, and how often you should have them done depends on your age, your sexual behaviors, and other risk factors. If you are experiencing any of the symptoms listed above, or think you may have an STD, visit FastMed in Hickory, NC. Our staff of trained medical professionals can provide the testing you need and offer a treatment plan based on your diagnosis.